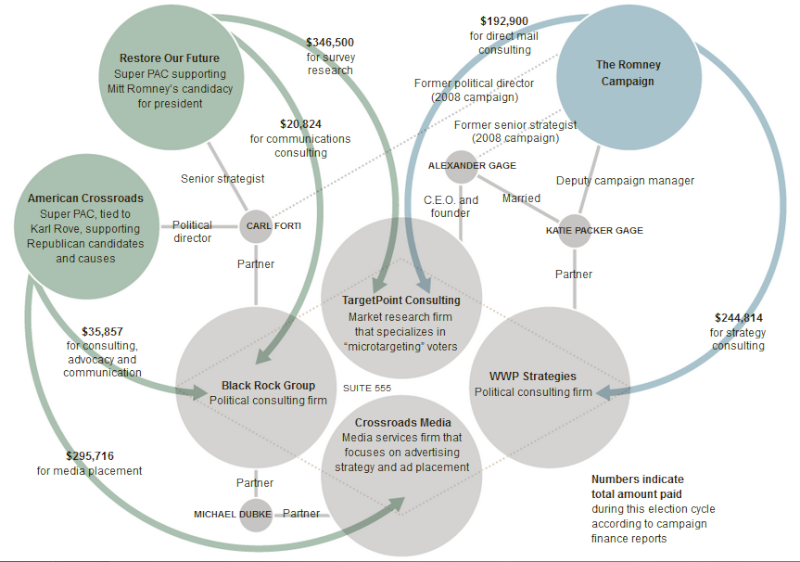 WWP Strategies was found be associated with the Marco Rubio campaign. An article in News Week confirms it. Earlier they went after Rand Paul but currently are all about ganging up on Donald Trump. I'm not a campaign strategist but I don't think it takes one to realize that they're being paid to dump on certain candidates to make their man (or woman, in the case of Carly Fiorina) look better. It's not really truthful that any of the other candidates are what these people claim, it's just made to appear that way so their companies produce the results the paying candidate(s) wants. What concerns me is the information coming in about them. I gave the woman a subtle hint to stop when she put out on social media that the Presbyterian Church should sue Donald Trump for being of their faith. I felt that if you're going to demand that candidates not make personal attacks, then you shouldn't be doing it through a strategy corporation to appear lily white yourself. But she ignored it so let the chips fall where they may. I hate doing it, but I think voters have a right to know they're being manipulated. So what we're finding, we're going to publish. It's an advertising agency. The problem with it is it's just like Club For Growth. They go after Republican candidates. Their Facebook statuses right off the bat look like they were hired by Marco Rubio. Jeb Bush mentored Rubio. They're both for the same policies other candidates don't define as conservative. That includes Common Core, TPP, TAA/TPA, Amnesty, NAFTA, WTO. Some say that a vote for Marco Rubio would be a vote for Jeb Bush. What we'd like to know is why they'd spend money to go after Republicans when they're both polling so low? Lori Wortz, Fred Wszolek and Katie Packer Gage lead the team at WWP Strategies. We didn’t start in this field as practitioners of some narrow specialty. We started as generalists who saw how all the pieces came together. We later became specialists, but we kept our knack for strategy. We’ve been involved in campaigns at all levels, for candidates, constitutional amendments and big fights over issues in Congress and the Legislatures. We’ve worked in the legislative branch, the executive branch, the private sector. If you ask that question of a lot of candidates, or the people running ballot proposal campaigns, or the folks involved in tough issue fights, you get a lot of blank stares. You get a lot of nonsense too. Stuff like, “we’re gonna build up our favs then dump a lot of oppo at the end.” Some strategy. It’s much simpler to run a campaign for a candidate or an idea without a strategy. When there’s no strategy, everything makes as much sense as everything else, so meetings are much shorter. And after all, isn’t it simpler just to have a guru who knows everything and has it all “up here,” than to work out a whole complicated strategy and actually put it on paper? Having a strategy means you have a North Star to steer by no matter how rough the campaign gets or how hard your opponents try to get you off track. It means that every resource…money, time, manpower…is used to get to the same place, and everybody knows where that place is and the shortest distance to it – and that saves money. And it means that you’ve thought through what’s important and what isn’t, what’ll work and what won’t, what makes sense and what doesn’t. So the positive and the negative, the prose and the poetry, the image and the issues all work together and communicate a single idea. OK, I want one. Now what is it, exactly? A winning strategy is deeply rooted in a crystal clear understanding of who will support your candidate or idea, what will persuade them to do so, and what would keep them from doing it. A strategy is crafted from the last day backward, not the first day forward. It decides what the last thing you want voters or consumers to think about, because if you leave everything at the end “to be determined,” your opponents will determine it. It starts with numbers and regressions and models, adds issues, arguments and themes, and ends with pictures, images and music. Everyone wants (and everyone promises to deliver) advertising that’s creative, that cuts through the clutter. And there sure is clutter. Creativity is good. It will capture attention. But when creativity is tethered tightly to strategy, it captures attention – AND hearts and minds. That’s how you win. With only 24 People Talking About WWP Strategies on Facebook and only 337 Page Likes, it's hard to believe these people would even be hired by Marco Rubio. Google found the announcement that WWP Strategies was hired by Marco Rubio. Florida Senator Marco Rubio has hired WWP Strategies to run his Michigan operations for the 2016 Republican race for President. WWP helped lead the campaign for the controversial Proposal One in May of this year, "Safe Roads YES!" WWP Strategies was the agency that Mitt Romney hired in 2008. The president of the corporation is Kathyrn Elizabeth Parker Gage. Her husband, Alexander Gage, is the founder of Target Point, a consulting group. They share an office with other assorted political action groups. The problem here is that both husband and wife worked as paid advisers on the Romney campaign. That came under fire by the New York Times in 2012, where an intricate graph was published along with the sordid details. In a single office suite in Alexandria, Va., firms hired by “super PACs” share the same space as consultants hired by the Romney campaign. Federal law prohibits super PACs from directly coordinating with candidates, but the groups share many ties and have paid for many similar services. The New York Times February, 2012 publication really amounts to the conclusion that many people are getting rich using consulting groups, agencies and PACs but making no difference at all for the donors who believed these groups would work to get a Republican elected. Following a failed Romney election on November 6, 2012, Erick Erickson unleashes hell on the Den of Thieves whose only objective appears to be getting filthy rich and not fulfilling their promise to the donors. He squarely blames this operation for losing the election back to Barack Obama in words and headlines that make Donald Trump look like a choir boy. What's amazing is that Erick Erickson climbs into bed with the same purloining porch climbers three years later to attack the one candidate that he agrees with, at least in principle. Being a FOX News Contributor may have something to do with Erickson's hasty turn and that's a good bet considering that the network who hired him doesn't bring this subject up and is copying the same ill-fated routine of 2007. While both the New York Times and Erick Erickson cover what's really just an analysis of the FEC reports, what both neglected to cover was where the money went. They have a basic idea from the disbursement itemization and summaries but that doesn't root out the particulars. The next section will attempt to find out. Since WWP Strategies and other familiar names in the New York Times chart are now resurfacing again as assignments to campaigns against Donald Trump, burying old facts would not be prudent in such an important election. We simply can't afford to allow those whose goal is solely to reap profits to dominate our critical thinking. As of August, 2015, the following domains were registered to WWP Strategies. What we're attempting to do is see where the money has been going. It's a piece of the puzzle that has not been explored. We'll call out red flags once we analyze the data. "At some point, the things he says go from being 'crazy old Donald Trump' to defining — this is how Republicans think and feel. And that's dangerous," said Katie Packer, who served as 2012 Republican nominee Mitt Romney's deputy campaign manager. Here is the president of WWP Strategies, Katie Packer, who failed miserably as deputy campaign manager for Mitt Romney, now hired by Marco Rubio, trying to redeem herself at Donald Trump's expense. The problem here is that she uses her own created memes and makes wild assumptions that just aren't true. Donald Trump didn't become what he is because he's "crazy" and he wouldn't be attracting the crowds that he does if that's how voters felt. Packer says there is "some rumbling" about a well-funded anti-Trump campaign and offered a wake-up call to Republicans who assume Trump's candidacy will ultimately collapse. "Folks have to remember that lead changes don't just happen," she said. "Something causes them to happen." It's amazing how Ms. Packer gains all this inside information plotting Donald Trump's demise. It's even more amusing that she implies that waiting for it to happen on its own is a myth because they need her to get the actual job done. She doesn't seem to have changed her thirst for money since Romney. This just looks like more of the same. News Max then goes on to lie about how Donald Trump despises immigrants but the anonymous writer does at least admit to the ones who are here illegally. He or she doesn't show any statistics for the incurred crime, job loss, illegal firearm smuggling,, drugs, prostitution, terrorism, murder and burden to the welfare system or any of the finer points discussed truthfully on this forum and elsewhere. What News Max does is prep the landscape for votes, same as the Democrats are doing in the same fashion they baited other minorities for votes in the past. So honestly they don't even care about what's truly going on. The actual legal immigrants aren't buying it and neither are the used and abused forgotten minorities who haven't gotten ahead yet by all the promises of past elections. It's business as usual and it's gotten really old. It's amazing that an awful lot of money is being wasted to take down a candidate by rummaging through his personal affairs for someone they don't find to be a viable candidate. It's even more curious why they'd have to be careful about it. Republican officials have been careful not to attack Trump publicly for fear he may leave the party and launch an independent candidacy — despite winning from him a pledge not to do so. So in other words, News Max is saying they know of Republican officials who are in on this plot. Did they obtain that information from the woman in this article, who was hired by Marco Rubio and attacks Donald Trump with lies using proxy services? Recall that Marco Rubio also signed a pledge and devious plots usually backfire. It comes when the voter understands the deceit going on. That voter is going to ask himself or herself that if Marco Rubio was willing to break his own pledge then why should the voter have faith in anything he has to say? If they would do this to a successful businessman man who has a constitutional right to run for office, they would have no problem doing much more to someone with much less, and that's the majority of the American people. Partner at @wwpstrategies. 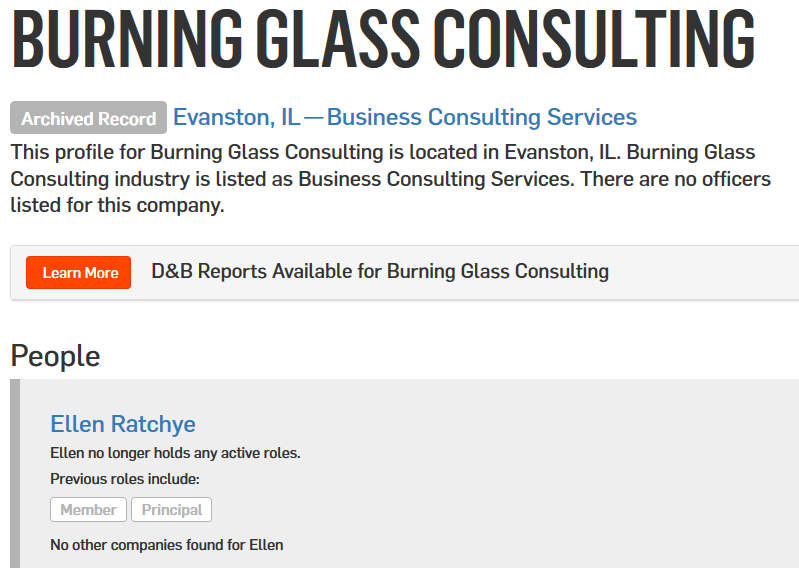 Partner at @burningglass. Romney alum. Proud Michigander at heart. Red Wings fan. Would rather be boating. A typical Republican consulting firm? Nope. We’re all about women. Research, strategy and messaging designed by women to win women. Added for completeness but this is a joke. This looks to me like desperate businesses operated by people who have no idea what they're doing. The associations to Katie Packer are pathetic.